You’ve got a (best) friend in Pennsylvania this year and here are 8 reasons why. From statewide trends to singular events to stunning natural resources, there’s something for everyone. It might be hard to imagine now, in the dark heart of winter, but someday soon we will be enjoying a cold beer on a warm day. Fortunately for Philadelphians — or anyone passing through — the city has gone beer garden-crazy. 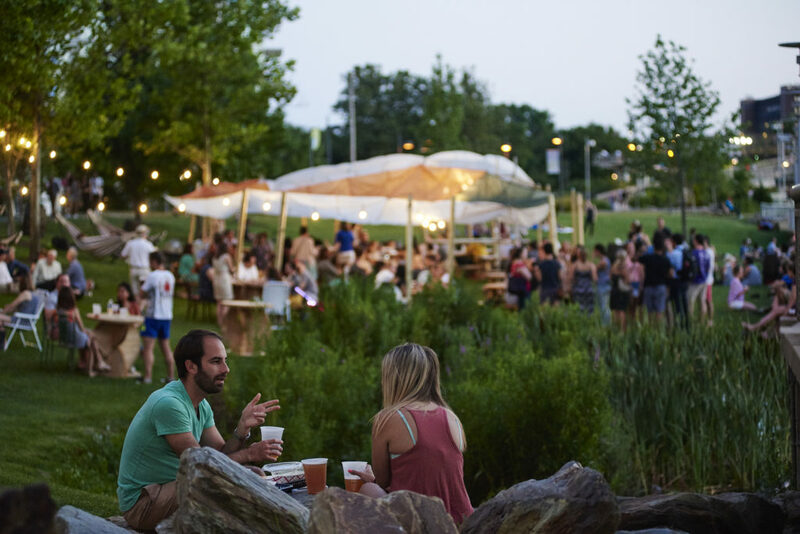 There are semi-permanent installations such as Independence Beer Garden and PHS’s seasonal beer gardens (an annual placemaking project that activates vacant spaces), and then there is the movable feast that is Parks on Tap, a roving pop-up beer garden that brings food, games, and brews to green spaces across the city. Stay tuned to their social media channels for the latest details on the 2019 iteration. And if you live anywhere in Pennsylvania, chances are there’s a new brewery opening near you sometime soon. Small towns and out-of-the-way neighborhoods across the state are being galvanized by this sudsy industry. Often casual and open early, breweries and brewpubs are also a surprisingly family-friendly option for those of us whose barhopping days are long gone. It’s also an affordable adventure and the chance to try something new. For an example of how this sector is booming, check out this list from Good Food Pittsburgh of recently-opened or soon-to-open breweries in-and-around Steel City. Still not convinced? Here’s a similar list from PennLive showcasing new breweries in Central Pennsylvania. Lastly, here’s a map of the state’s 383 existing breweries and 80 pending breweries via PA Brew Review. Cheers! Speaking of getting outside, with every passing year, more of the state’s abandoned railway lines and other underused spaces are being repurposed into amazing recreational trails for the public. The Schuylkill River Greenways National Heritage Area continues to expand (check out their new mobile-friendly website), and in the Lehigh Valley, a major new route that would run through 14 municipalities — including Lehigh Township, Wind Gap, Bangor and Portland — is moving forward. Looking for more inspiration? Check out this PA-centric list from the national Rails-to-Trails Conservancy. Pennsylvania ranks among the top five states producing the most STEM graduates in the U.S., but that’s not good enough. To that end, late last year Governor Wolf announced the latest phase of PAsmart, an initiative that will invest $30 million in STEM education and apprenticeship programs. Now that 2019 is here, schools have started receiving grants, allowing them to promote hands-on learning and train the next generation of high-tech workers. It’s a boon for both ambitious young people and the state’s economy. Meanwhile, another piece of the Commonwealth’s transportation history is going strong. As you can read about here and here, the Pennsylvania section of the National Road, the country’s oldest federally-funded highway, is celebrating two centuries of getting travelers where they need to go. Hit the pavement for some beautiful scenery, but make sure to visit the adjacent historic sites, and slake your thirst at one of the region’s iconic taverns. Who needs Coachella or Bonnaroo when you can experience amazing live music, while also discovering a fascinating part of the state. Sooth your February sorrows with Lancaster Roots and Blues (February 22-24), the sixth annual iteration of this downtown festival. Enjoy a multitude of genres, from Celtic to Bluegrass to Americana to Jazz, at a variety of venues, all within a walking distance of each other. Of course you can also check out the nation’s largest non-gated free music festival, the annual Musikfest in Bethlehem (August 2-11, 2019). While some performances are ticketed (headliners for 2019 include The Chainsmokers, Lady Antebellum, and Brad Paisley), the rest of the lineup is free and still to be announced. 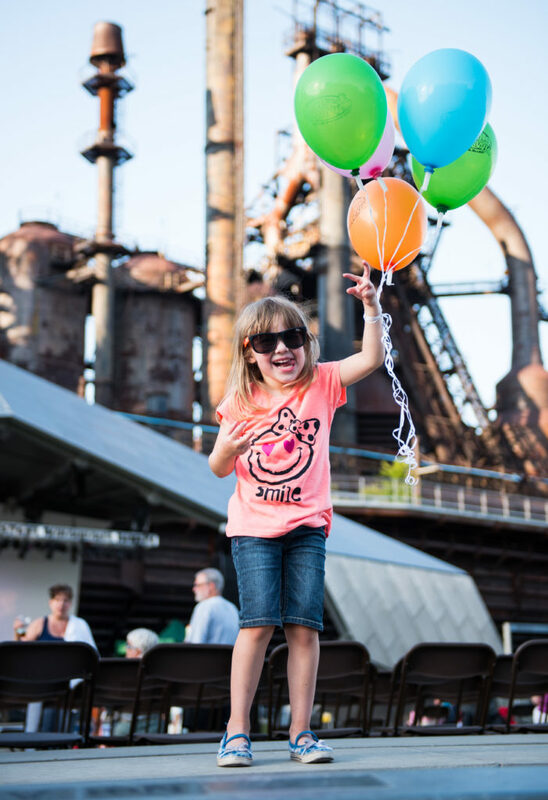 The event is not only a celebration of the arts but also of adaptive reuse — Musikfest takes place on the site of an old Bethlehem Steel factory. If you’re planning a road trip, we’ve got you covered. Meanwhile, up north in the PA Wilds, they’re doing things a bit differently. The 2019 Endless Mountain Music Festival (July 19-August 4) will feature 16 concerts in 16 days in and around Wellsboro, a town nestled deep in some of the state’s most stunning wilderness. Enjoy everything from classical concerts to a brass quintet under the stars in Cherry Springs State Park, a location famous for its stargazing due to the major lack of light pollution — it’s one of the top “dark sky” destinations in the world. It’s a new year, and Pennsylvania has a new second in command. Lieutenant Governor John Fetterman has always been an unconventional politician who spend years fighting for his hometown of Braddock. No matter what his new role has to bring, it sure won’t be boring. The 39th Annual Roasting Ears of Corn Festival is happening August 17-18, 2019, at the Museum of Indian Culture in Allentown. If you’ve never been to the museum, this is a prime chance to check it out while enjoying traditional drumming, singing, dancing and food. Throw a tomahawk, shop for jewelry and clothing, and chow down on buffalo burgers, fry bread and, of course, fire-roasted corn. Kids can make sand art, weave dreamcatchers, or get their face painted. Just because Pennsylvania is not on the ocean doesn’t mean we don’t have beaches. Lake Erie is a true wonder, and you’d be a fool not to have Presque Isle State Park on your state-centric bucket list. You can camp right on the shores, dip your toes in the water, crack open a bottle of locally-grown wine, and watch the sunset over the horizon (it’s a perk of facing northwest). If you need extra motivation, sign up for the Presque Isle Half Marathon, happening July 21, 2019.